After the update showed up in the app, the second issue appeared: Pressing the Install button didn’t do anything. A download seemed to start but stopped after a fraction of a second. Apparently I was not the only one who experienced that problem. The amazing Fairphone community (in person of @clementdreal) helped me around this problem. Just press the button repeatedly until the download starts. Obstacle two: Check. 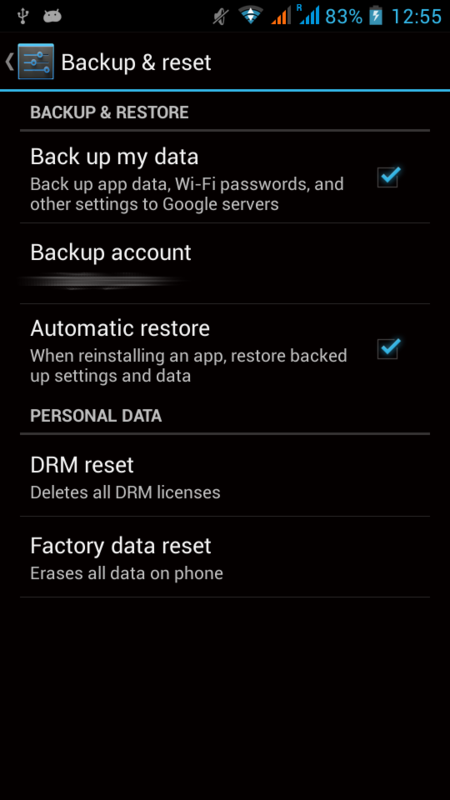 One of the first things I did one the Fairphone was delivered was to enable backup and restore to and from the Google cloud. I didn’t have to go through all the steps described in that blog article. 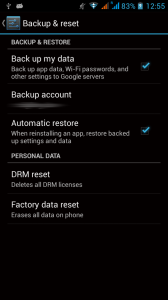 However the backup location had to be reselected since the update removed that particular setting.